For almost a century St Mary’s Home has been located at Mount Street, Toowong. It has been a part of the local streetscape for so long that many people are unaware that St Mary’s wasn’t always situated here. Most people would also be unaware that the Home is an amalgamation of two former institutions, the Female Refuge and Infants’ Home and St Mary’s Home, which after joining together, chose to retain the name of St Mary’s Home. The original St Mary’s Home, which had its official entrance in Bent Street, Toowong, had been demolished after extensive damage by while ants. Join historian Leigh Chamberlain as she traces the story of these two institutions from their inception until amalgamation, and outlines the Home’s subsequent history. Today, the Home continues to meet the needs of those women who have ‘nowhere to go’. Leigh will explain how the home has adapted since moving to Toowong to enable it to assist women who need its support today. The talk will be presented on 22 May at the BCC Toowong Library, Toowong Village, from 9.30am till 11.30am. All welcome! Please stay and join us afterwards for morning tea. For more details see Upcoming Events (at right). The Coronation of King George VI and Queen Elizabeth took place on Wednesday May 12th 1937. This was the date set for the Coronation of King Edward VIII, but upon his abdication the date was retained for George VI’s Coronation. The Queensland Tree and Forest League decided last night to suggest to the Lord Mayor that a comprehensive scheme of tree planting be undertaken by the council to mark Coronation week, such as an avenue of shade trees along the highway extending from North Quay to St. Lucia. It was also recommended that citizens should apply to the council for trees, and that at least one be planted in front of each home as a Coronation commemoration. (1). On the day of the Coronation a tree was planted by the Governor, Sir Leslie Wilson, on North Quay, Brisbane on Wednesday, May 12th, 1937 at the commencement of the River Road. The name of the River Road was also changed from then on to Coronation Drive (2). Prior to the Coronation the Brisbane City Council had agreed to provide trees to be planted in avenues along Brisbane streets or in local reserves by the Girl Guides (3). Approximately 1400 trees were to be planted by the Guides in Brisbane and 4000 throughout Queensland (3). The council also agreed to supply relief staff to dig the holes, to set up stock-proof tree guards and provide assistance, when necessary, to plant the trees (4). The trees to be planted included bauhinia, bottle brush, tulipwood, tamarind, Indian laburnum, Buchinghamia celsissima, hibiscus, Bat’s wing coral tree and jacaranda (4). Tree planting was to be commenced around 2pm on Saturday, May 15th, 1937(4). In Toowong, 61 red bottlebrush trees (Callistemon Viminalis) were to be provided and planted along Sylvan Road and Church Street (4). Church Street had its name changed to Jephson Street in 1940. 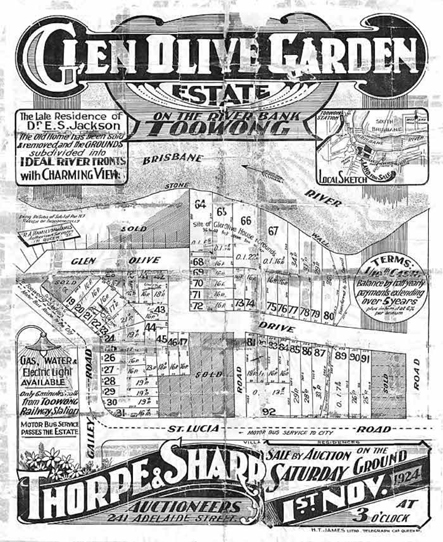 A report in The Courier-Mail on 17th April, 1937 mentioned only Sylvan Road for the proposed plantings in Toowong (3). Trees were also planted in the grounds of St John’s Cathedral, with assistance from the Guides’ State Commissioner, Lady Macartney, and the State Secretary, Miss N Edwards (5). All avenues of trees were named with a tin plaque, but none of these have been detected on trees in Toowong. Only two plaques has been photographed — attached to hibiscus shrub branches, one of which was found in the Auchenflower Girl Guide Hut and another near to the Guide Hut at the time of the 1974 flood. These plaques were labelled St John’s, and one was reported to have been found in ‘Anzac Park’, Toowong. This may have been misreported as Toowong Memorial Park, and not Anzac Park in Dean Street, Toowong. There were Guide, Brownie and Ranger companies attached to the St John’s City Guide Group. That guide group were scheduled to plant trees to commemorate the Coronation in Gotha and Warren Streets in Fortitude Valley. It is a mystery how the plaque labelled St John’s found its way to Toowong. Since that time the genus of the Callistemon Viminalis, which were planted in Toowong, has been reclassified as Melaleuca Viminalis. This has been confirmed by the horticultural department of the Brisbane Botanic Gardens. So what has happened to those trees? In November 2014 no bottlebrush trees could be detected in Jephson Street, but 28 have been counted along the footpaths in Sylvan Road. These trees are now between 4-6metres in height and many have been trimmed to prevent entanglement with power lines and road traffic. There are some large trees in adjoining gardens which may have been planted at the same time. Trees have been recorded along the southern side of Sylvan Road between Jephson and Quinn Streets — 11 trees; western side of Sylvan Road between Quinn Street and Milton Road — 2 trees; eastern side of Sylvan Road between Milton Road and Quinn Street — 9 trees and northern side of Sylvan Road between Quinn Street and Jephson Street — 6 trees. An example of this type of tree, not in Sylvan Road, is included. Further photos will be taken of a representative Sylvan Road tree in the next flowering season in September, 2015. I would like to thank Ms Annabel Lloyd, Archivist, Brisbane City Council for assistance with the research. Girl Guides of Queensland Annual Report of 1936/37. The Returned Services League was originally called the Returned Soldiers’ and Sailors’ Imperial League of Australia (RSSILA), but later adopted a more simplified version of the name. After the Queensland State Branch of RSSILA was formed, the decision to form the Toowong RSL Sub-branch was taken on 9th April 1919. Mr Sanderson became its Hon. Secretary. 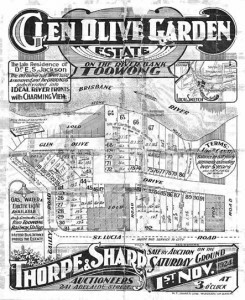 The Toowong sub-branch was formed on 15th April 1919, and Captain Binnie, a well-known and respected Toowong resident, was elected as its first president, while well-known public identities Messrs Hicks and East were elected as vice-presidents. By 7th May 1921, A J Servin had been elected as president, while Mr Fraser East was re-elected as vice-president. In 1924, on 21st February, Mr Fraser East was elected as the RSSILA’s State president. Today, and several wars later, the Toowong RSL Sub-branch continues to serve the needs of its members. At 89, Mr Frederick (Fred) Whitchurch is the oldest member of the Toowong RSL sub-branch. A natural raconteur, Fred has a wealth of stories about the sub-branch, especially the renovation of the old hall after WWII, and later, the building of the new Toowong RSL Memorial Club building in Sherwood Road under the leadership of its then president, the late Mr Jack Cook. The building had played host to many local community groups who used its rooms to meet in, and later, clubs for golf, darts, and billiards club were established under the auspices of the sub-branch. Next to the clubhouse was an old artillery gun, which children loved to run around and play on. Alas, after a court case to determine whether the Toowong RSL sub-branch or the members of the Memorial Club actually owned the building, the property was sold to meet financial obligations and pay the costs of the court case. The court case’s decision had far-reaching ramifications for the operations of community organisations in Queensland, as it determined all assets were owned by the parent body. Afterwards, the Queensland State government passed the 1992 Act of Incorporation and thus, the court determination is now incorporated into Queensland law. Thus, today, alas, the building is no more, and Toowong lost one more valuable community amenity. A set of townhouses has been erected on the site of the former RSL Sub-branch, and is named to honour early Toowong resident Richard Langler Drew (1823–1869). Next door, on the corner, Jack Cook’s garage has been replaced with the Jephson Hotel. When interviewed in 2003 Warwick Torrens had been researching the history of Queensland cricket for 30-odd years. He is particularly interested in the statistical and historical side of cricket and began collecting information after World War II about the first class game played in Australia, especially in Queensland. In 1974, he became a member of the newly formed English-based Association of Cricket Statisticians and Historians. Warwick has written many books about the history of cricket in Queensland and was a major contributor to the publications ‘History of the Sheffield Shield’ and the ‘Oxford Companion to Australian Cricket’. I have it here in my notes from 1865-1870. [After consulting his archives, Warwick continues:] It was formed at a meeting held at Brayshers’ Metropolitan Hotel on 22 May 1866. They decided to play in accordance with the Melbourne Rules. There was no football club whatsoever in Queensland until the first football club, called Brisbane Football Club, was formed. The Metropolitan Hotel, owned by Mr Amos Brayshers, was located in Edward Street, Brisbane. This hotel became the Brisbane Football Club’s meeting place. The Tattersalls Club also met here, as it did on 29 May 1866, a week after the Brisbane Football Club’s inaugral meeting, for the purpose of the settling-up of the Brisbane Turf Club’s previous race meeting and presentation of trophies. (The Brisbane-Courier, 30 May 1866, p.2.) Mr Braysher was the proprietor of Tattersall’s Subscription Room. In 1897 the Queensland Cricket Association decided to move away from a system of administration based upon a club system, such as that of the Graziers or the Alberts—these sorts of clubs—to that of Electorate Cricket which had already started in Sydney and Melbourne. In Electorate Cricket, cricket districts coincided with the electorates of the State Parliament. Consequently, there were a number of clubs formed, such as North Brisbane and South Brisbane. But the one we are particularly interested in here is Toowong and the western suburbs. 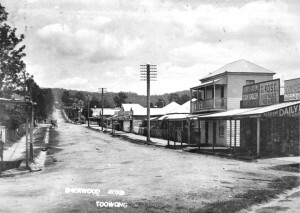 The Toowong state electorate—or colonial electorate it was initially called—stretched from the Taringa area right across to Paddington and Kelvin Grove and bordered on the city of Brisbane. The Toowong Electorate Cricket Club was quite competitive. There were quite a number of well-known players. In particular for a time, Jack Hutcheon, who, for a long time was president of the Queensland Cricket Association, played for Toowong; so too did his brother Ernie. There were the brothers Armstrong. They lived at ‘Fernberg’, Milton, the sons of George Joseph Armstrong who was born in Brisbane shortly after the arrival of his parents in 1853. Three Armstrong brothers played for Queensland and one of them, William Anthony, continued to play until he was well into his fifty years. He finished up playing for Western Suburbs. The Toowong Electorate Cricket Club in 1921 held a joint meeting with the Oxley Electorate Cricket Club and they decided that they would amalgamate to become the Western Suburbs Electorate Cricket Club. Electorate cricket clubs existed until the very early 1930s when they all became district cricket clubs. Toowong really disappeared in 1921, but Western Suburbs is still with us today. It is now called the Western Suburbs District Cricket Club. Oxley commenced their playing in the Brisbane competition in 1903. We find some clubs with very short existences. There were Ipswich clubs that came in and played for one season or, in the case of one of them—I can’t remember the name of it now—for about three seasons. We had Enoggera play one season. Bulimba played two matches in 1897 and then folded up because they could only get about five players along to their first match and eight to their second, so they didn’t keep going. George Colledge was born at Stewarton in Ayrshire on 11 May 1873. He arrived in Australia at quite a young age. He was educated at the Toowong State School and the Brisbane Normal School. He played cricket for the Toowong Electorate Cricket Club and probably also there was a Toowong club playing in the junior division prior to the establishment of electorate clubs. He was the secretary of the Queensland Cricket Association from 1897 to 1908. He was also a member of the QCA Executive for a short time. He was an Australian Cricket Board delegate for Queensland from 1905 to 1907 and he was granted life membership of the Queensland Cricket Association on 17 August 1909. George died at the Beerwah Private Hospital at Gregory Terrace, Fortitude Valley on 18 June 1951. That’s on the corner of Brunswick Street and Gregory Terrace. George’s parents were Matilda Ann (nèe Broomfield) and George Murray Colledge, Stationmaster and I understand George Jnr also worked in the railways. At least one of his sons played quite good cricket but moved around the State quite a bit and played in country areas. I think Warwick is one where I’ve come across him playing. As a Queensland cricketer I suppose you could say of not great note, but he did play one game for Queensland. James William Adams was born at Toowong on 22 February 1904. Adams was educated at the Brisbane Grammar School, but didn’t play cricket seriously for a number of years until he was getting up towards his mid-20s because he was quite involved in the Citizens Military Forces. Adams was the son of Herbert James William Huxtable Adams and Lillian Kate (nèe Frost). His father was a tailor in Toowong. Jim Adams worked for a time for Finney Isles & Co. and, just prior to the Second World War, moved to Melbourne, and later to Sydney where he died on 9 January 1988. He was 12th man for Queensland in the game when Eddie Gilbert dismissed Bradman, caught by Len Waterman, without scoring. That game was in February 1931, and was the first Sheffield Shield match played at the Brisbane Cricket Ground. He had played for Queensland against the West Indies in the previous season. That was his game. He missed a game after that West Indies game when the match between Queensland and Victoria was completely washed out by continuous rain. That game was to be played at the Brisbane Cricket Ground and should have been the first Sheffield Shield match at the Brisbane Cricket Ground. The next game was in November 1931. Adams, at one stage, lived at Victoria Crescent, Toowong. [i] I believe he attended Toowong State School. Bill Abell was born in Leeds in England and came out here, quite obviously, at a fairly young age. I do find him on the electoral rolls being aged 22 on 23 March 1897. 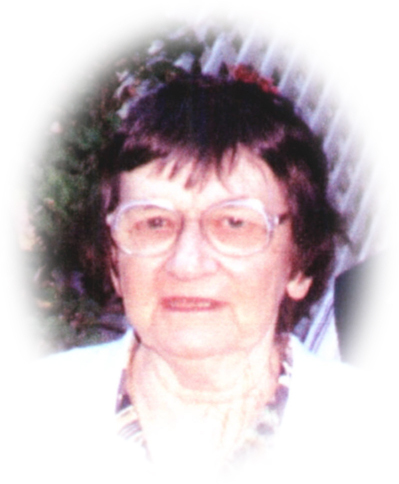 Bill’s mother was listed as Mrs Lonsdale Abell living at Stanley Terrace, Taringa. There was a Lonsdale Abell who died on 20 May 1884 and so I can only assume that this is the husband of Mrs Abell. There was a Henry Lonsdale Abell who died on 10 August 1912 and who is shown in the Queensland death indexes as the son of Lonsdale Abell and Mary Slater. So that would be Bill’s brother and his parents. 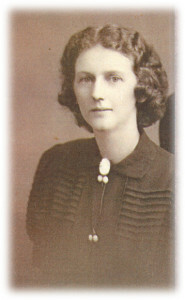 Mrs Mary Abell is shown as the proprietor of a private school in Toowong. I haven’t really gone very much further than that except that we know Bill enlisted in the Boer War as a private in Unit 6 of the Queensland Imperial Bushmen Contingent. And he also went off to the First World War. I’m not quite sure if he was the one who joined the 11th Light Horse or the 14th Battalion, presumably the first. It does seem that he altered his birth year by a couple of years because records do show that he was born in 1876, but the correct year would appear to be 1874. 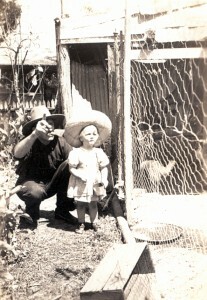 Bill died in 1960 at the War Veterans Home at Caboolture. I just haven’t got a date here for that at the moment. Joseph Black Dixon moved to Brisbane in 1860 as the accountant of the newly opened Brisbane branch of the Bank of Australasia. He was the son of a banker, Joseph Dixon in Hobart, and he came up here and virtually stayed here except in 1869 he moved for a short period to accountant at Sydney, and within 12 months was transferred back to Brisbane as the manager of the Brisbane branch. In 1869 he married Louise Jane Sloan[ii], who came from Maitland and there were six children. Now Joseph had a health problem and he died in 1881, the youngest of his family was just over 15 months old at the time of his death. 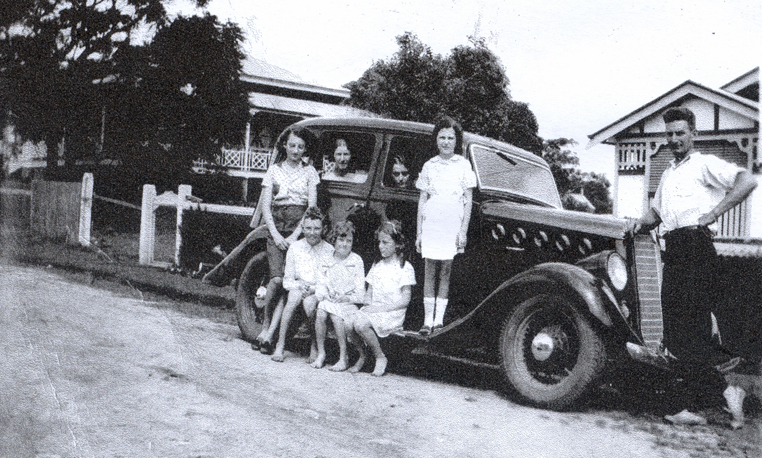 Mrs Dixon had to find an income to look after her six children and so she took on a boarding house at Toowong. This was apparently a place that was quite well known. She did quite well with the family. Four of the boys attended Brisbane Grammar School and did quite well. One became a doctor, one became a banker and the one who became a banker was Joseph Eric. His son, Patrick Leslie Dixon (‘Les’), played cricket for Queensland and also rugby and, in fact, was in line for an Australian Rugby cap when he was injured and decided that cricket was more to his liking than the injuries of Rugby. Les was a prisoner of war of the Germans in the Second World War. He joined the RAAF and was shot down over Germany. Two of Joseph’s brothers came to Brisbane, Laurison and Grahame Dixon, who worked for the Bank of New South Wales. Then there was Russel (with one ‘l’ in Russel); at least, I believe that is correct. He worked in the Queensland Civil Service as it was called back in those years, and lived in Brisbane until his death in 1922. Laurison died in 1932. Both actually played cricket for Queensland in the pre first-class days, Russel actually appearing against the first ever English team that visited Queensland. I don’t know where Russel lived. I haven’t located that at this time, but Laurison lived at Auchenflower and that was where he died. The four sons of Joseph attended the Brisbane Grammar School and this is probably where they obtained a lot of their sporting prowess but, quite obviously, it was also a natural talent. Two of them were quite good rugby players as well as being cricketers. One of Laurison’s sons was quite a good cricketer and played grade cricket for Woolloongabba Electorate Cricket Club, and his life was lost in the First World War. William Stewart Dixon was the one who lost his life in the First World War. I don’t know anything about the family of Russel except that I have some names, but no other information about them. Les Dixon—all of his children were quite good at sports, the girls included. They played hockey. His son was the captain of the University of New South Wales cricket team in the Sydney grade competition. He represented New South Wales Colts and was at one time a member of the New South Wales squad. He was also a very good rugby player so that the sporting ability continued down. I haven’t heard anything about it continuing to a next generation as yet. [i] Victoria Crescent runs between Milton Road and Morley Street. 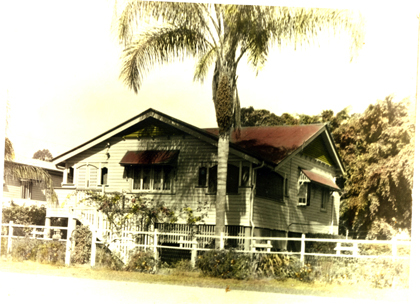 Shirley Lahey’s grandparents leased ‘Sidney House’ in 1905 for a short period of time before moving to Indooroopilly. ‘Sidney House’, which boasted a prime riverfront position, was located on River Road (now renamed Coronation Drive) and has since been demolished. In common with many descendants of Toowong’s early families, Shirley has returned to the area and now lives in Taringa. My paternal grandparents were David Lahey and Jane Jemima (née Walmsley). David was born in 1858 in County Westmeath, Ireland, and Jane was born in Maldon, Victoria, in 1860. They were married in Brisbane in 1881 and had twelve children. One boy died, aged one month. Another son died of wounds in France in 1917, during World War I. Of the remaining ten children, the best known ones are the eldest child, Vida (a noted Australian artist, art advocate and educator) and Romeo, who was known for his lifelong interest in national parks. This included his work towards the reservation of Lamington National Park and the Windsor Tableland and Upper Daintree area of the Daintree National Park as well as being the founder of the National Parks Association of Queensland, the first of its kind in Australia. David Lahey’s parents and ten siblings migrated from Ireland in 1862. His father Francis was a farmer, first at Coopers Plains, and then at Pimpama, where he was a successful arrowroot farmer. His five sons became interested in sawmilling at Waterford and then, in 1884, David and three of his brothers built a sawmill in Canungra, which developed into the largest softwood mill in Queensland. 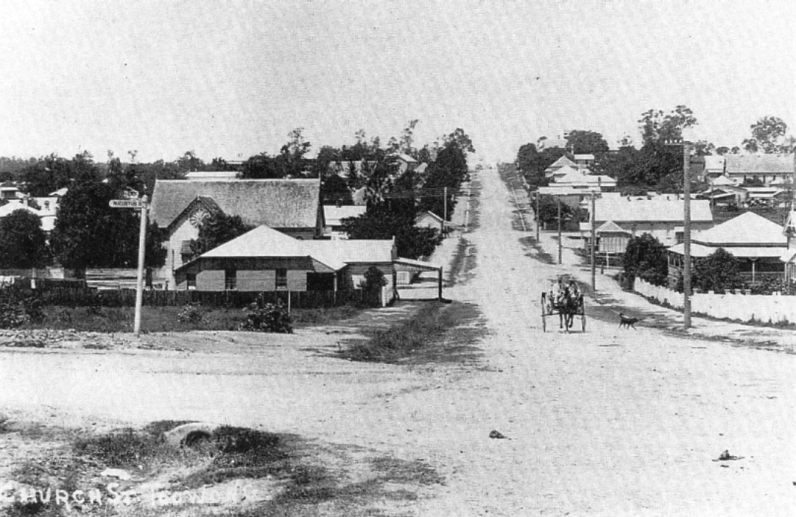 Later mills were built in other parts of south-east Queensland. Initially, the partnership was called Lahey Brothers, the name later changing several times, but when the company went into voluntary liquidation in 1921, it was named Laheys Limited. 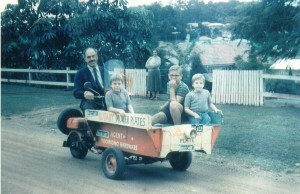 Earlier, in 1910, David had set up a sawmill in Corinda, Brisbane, so that his sons would have business opportunities. This company was called Brisbane Timbers Limited. When David and his wife came to Brisbane to live in 1899, they leased ‘Yeronglea’, the home of the late premier of Queensland, T.J. Byrnes, at Yeronga in Brisbane, where they lived until 1905, when they moved to Toowong and leased ‘Sidney House’, which had been built for Thomas Finney. I believe Finney was the partner in Finney Isles, the store that is now David Jones in Queen Street. The architect of the house (which was named for Finney’s wife, Sidney) was F.D.G. Stanley and its extensive grounds went down to the river. When the David Laheys lived at ‘Sidney House’, there was a total of about twenty-five people under its roof. Apart from the immediate family, Jane’s mother, unmarried brother and at least one half-sister lived with them. Also there were some of David’s nephews (whose mother had died) and staff (who included a Kanaka who had worked for the Laheys at Pimpama and who stayed with them for the rest of his life, declining to return to his island home). From ‘Sidney House,’ they moved to ‘Greylands’ at Indooroopilly, which they leased for about three years, before building their own home at Corinda, which was called ‘Wonga Wallen’, near the sawmill. An article featuring more of Shirley Lahey’s memories titled Sojourn in Toowong–the Lahey Story is published in Toowong: A Tram Ride from the Past, Memories of the Toowong Community Vol. 4, ed. Leigh Chamberlain and Lindy Salter, Toowong and District Historical Society, 2008, p.1.